Did you know there was once a type of whale that walked on land? Or that there is a species of bat that is the size of a bumblebee? From now until Mar. 27, 2016, you can come face-to-face with animals like this and more at the North Carolina Museum of Natural Sciences&apos;s featured exhibit in Raleigh, N.C.: Extreme Mammals. Through the use of dynamic media displays, computer animation, taxidermy and more, visitors experience a detailed evolutionary history of the world’s most distinctive mammals. When you enter the exhibit, a 15-foot-tall model of the extinct Indrioctherium, the largest known mammal to ever walk the planet, immediately greets you. According to the exhibit, the Indriocretherium, a relative of the rhinoceros is as large as three fully grown elephants combined! Journey deeper into the exhibit and you will discover dozens of mammals organized into nine sections that begin with questions like “What is a mammal?” and “What makes a mammal extreme?,” and delves further into the features that make these animals unique. Take note of the displays that showcase a plaque saying, “North Carolina Extreme Mammal”, indicating which of these incredible specimen once lived right here in N.C. While you’re visiting the museum, also check out the many permanent exhibits in the Nature Exploration Center that reflect the natural habitats and scientific history of N.C., or visit the Nature Research Center to get an understanding of the past, present and future scientific studies of our planet. While admission to the museum is free, this exhibit is ticketed (free for museum members). Tickets for adults are $15; seniors, students and military are $13; children (3-12) are $10. Group rates are available for parties of 10 or more. 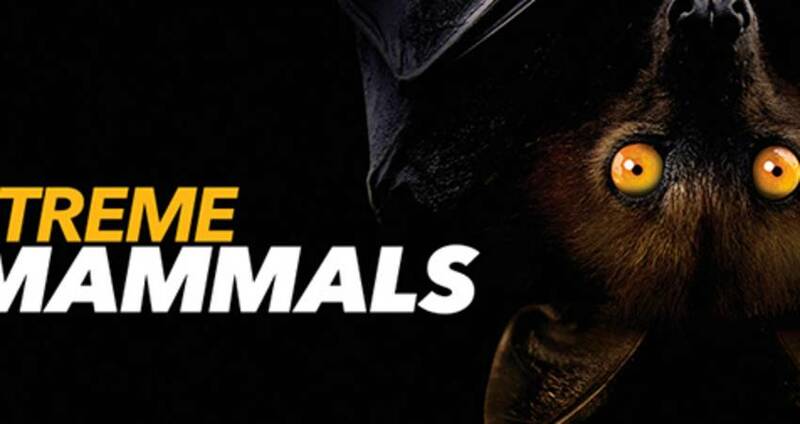 You can visit Extreme Mammals Mon.-Sat., 10am-5pm or Sun., noon-5pm. There are several public pay parking decks within walking distance of the museum, and metered parking is available along Jones St. and Edenton St. Parking is free on weekends.